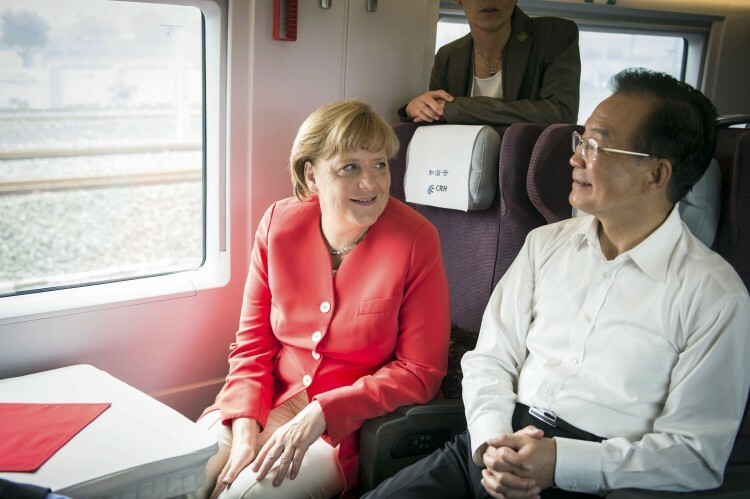 German Chancellor Angela Merkel visited China for a two-day high-level meeting last Thursday, focusing mainly on strengthening trade links between the two export giants. Human rights groups missed clear statements regarding the regime’s abuses. Merkel arrived in Beijing with the biggest German government and economic delegation so far, consisting of seven federal ministers, 20 business leaders, and more than 100 staff, traveling on three airplanes. Besides talks with premier Wen Jiabao, and Party chief Hu Jintao, she met with Li Keqiang and Xi Jinping, who are expected to take over as premier and general secretary respectively this fall. Germany’s key message to its Chinese counterparts was to stress the importance of the so-called level playing field the German industry needs to operate and invest in China. “The European market stands wide open for Chinese companies. We expect the same for our companies,” said Germany’s Federal Minister of Economy and Technology Philipp Rösler in a statement. For Germany, whose economy is deeply dependent on exports, China’s market is one of the “backbones of the German export industry.” China is the second most important destination outside of Europe for German products like machine parts and cars. In 2011, goods worth more than $80 billion were exported, contributing half a percent to German growth (from a total of 2.7 percent). To continue this boom, in Beijing contracts worth more than $6 billion were signed by both sides Thursday. Symbolically, Minister Rösler opened a new Volkswagen transmission plant Friday. The talks also offered an opportunity to reassure the Chinese regime that the debt crisis in the European Union is being handled properly, which is a major concern for the Chinese regime. Human rights groups and German opposition politicians expressed disappointment that Merkel hardly brought up human rights issues during her trip. Merkel needs to recognize that she is dealing not with any government but “the greatest abuser of human rights,” said Ng. For Ng, Merkel is limited in her options, experiencing pressure both from German industry as well as next year’s general election. The chancellor used to be more frank and daring. In 2007 she invited the Dalai Lama to Berlin, causing the Chinese regime to react in angry protest. This spring, during her last trip, she attempted to meet with representatives from the Southern Media Group, a relatively bold and critical newspaper publisher, but was denied. This week it was reported that Merkel demanded better working conditions for German correspondents. 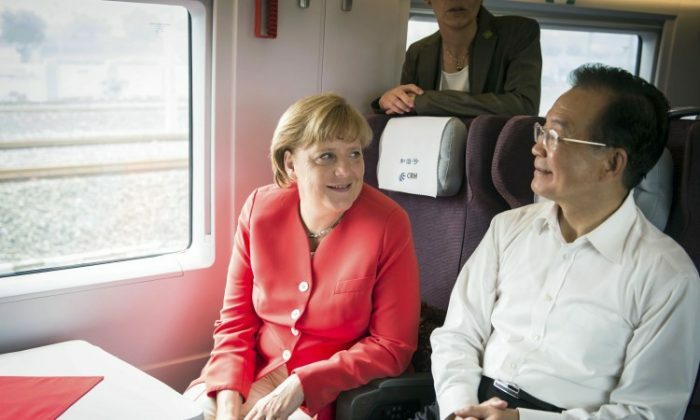 “Germany can only win in the long term” by being outspoken toward China, Ng said, dismissing the idea that there is a conflict between economic and moral interests.